Place broth, 1/2 cup olives, 1/2 cup dried plums, oregano, brown sugar, capers, oil, garlic, salt and pepper in a food processor; process until smooth. Transfer mixture to a 6-qt. electric pressure cooker. Place chicken in pressure cooker. Lock lid; make sure vent is closed. Select manual setting; adjust pressure to high and set time for 10 minutes. When finished cooking, allow pressure to naturally release for 10 minutes, then quick-release any remaining pressure according to manufacturer's directions. Chop remaining olives and dried plums. Remove chicken; keep warm. Stir parsley, wine, lemon juice and remaining olives and plums into olive mixture. 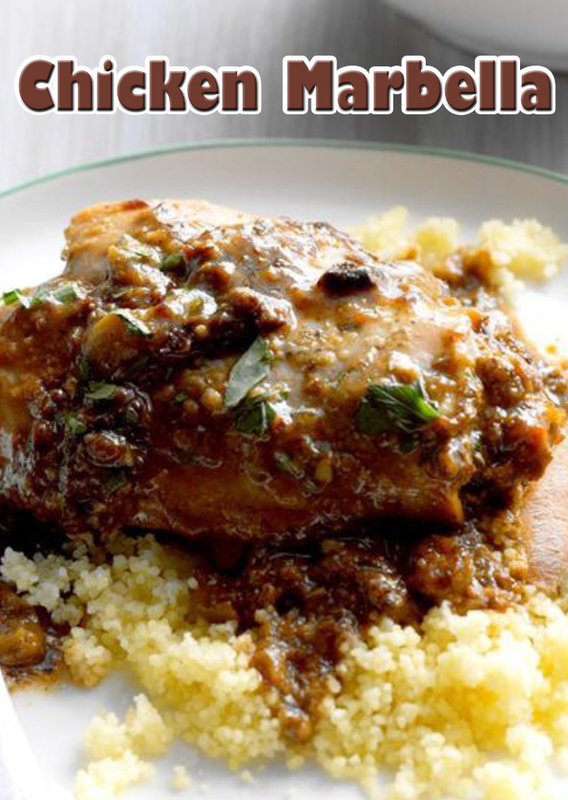 Serve with chicken and couscous.